The United Democratic Party is in the middle of conventions to select what they refer to as caretakers in the fourteen constituencies where that party does not have an area representative. This past weekend, the battleground was in Orange Walk East, where Elodio Aragon Junior defeated David Constanza. 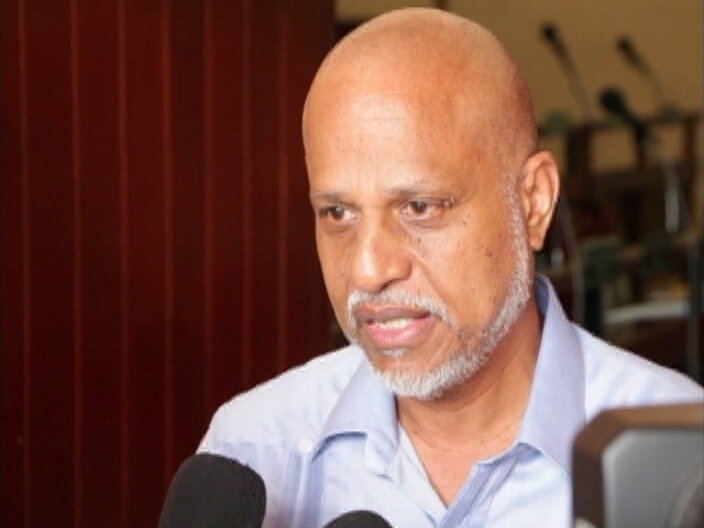 All indications are that Aragon Junior was the party’s favorite having resigned as Assistant Commissioner of Police to contest the convention. But there is no back-patting and goodwill coming out of his win, as Constanza has announced his resignation from the United Democratic Party. 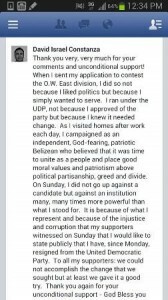 On his Facebook page, the accepted forum to post notices these days, Constanza thanks voters and says, “On Sunday, I did not go up against a candidate but against an institution many, many times more powerful that what I stood for. 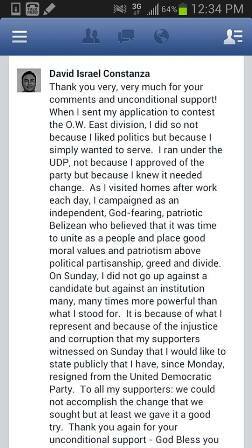 It is because of what I represent and because of the injustice and corruption that my supporters witnessed on Sunday that I would like to state publicly that I have, since Monday, resigned from the United Democratic Party.” Today, Prime Minister Dean Barrow conceded that there are ill-feelings in Orange Walk, and the party may not be able to mend those fences. Grabbins, grabbins, all a dem di grab. grab, grab, grab, unu bombastik and buldooza up di PUP dem an now unu dah di same ting. out unu gwayne pappi. out wid all a unu korupt boyz. i wah stap kall unu ministaz, unu di behave like lee boyz. out wid unu. gawn gawn git, skat, skram, vamoose. time fi get dem out. deh let we down big time. we gaan swalla hook, bait, line n sinka wen deh mi di tell we deh wah be diffrent. now we belly di hat we. out wid unu now. no wait fi mo yaaz. 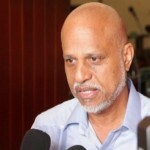 get out befo mo ah unu get eena mo skandals an korupshan bekaaz e look like unu like deh eena news di star eena korupshan. fram wan to di nex. Congrats mr Constanza god works in different ways. You don’t need to be a member of a corrupted party. All they been doing is taking advantage of the poor people.